they join on-the-spot during your AFSA community events and recruitment drives during the months of May, June and July 2019.
community, accessible to all, and mission based. Consider co-sponsoring special events within your local community to ensure a spotlight on AFSA and your active membership. Highlight local issues that will allow you to collaborate with other local groups, especially those with a different membership base. 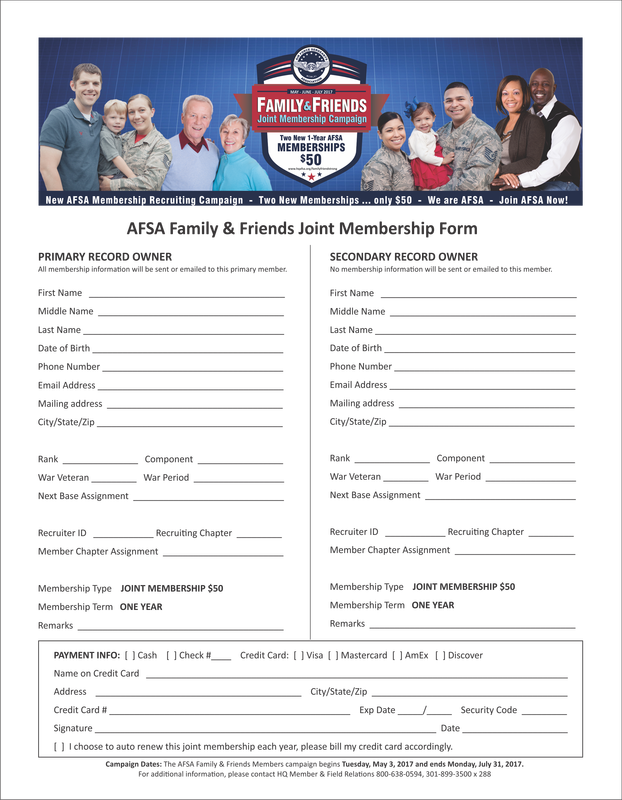 Display and share AFSA membership brochures, posters, “We are AFSA” selfies signs, banners, etc. on-the-spot to receive the special discounted rate of two for $50. The person cannot be a current AFSA member. Step 3: Complete the on-line form, or send the forms and payment directly to AFSA HQ for processing. Membership dues and Family & Friends Membership forms should be submitted to HQ within 30 days of your special events. Regular AFSA dues are $36 annually. and through our on-line and social media outlets. Share your Family & Friends recruiting success stories with AFSAComm@hqafsa.org and you may be featured through our online and social media outlets as well. that wish to become joint members. - Anyone who does not have a current membership. 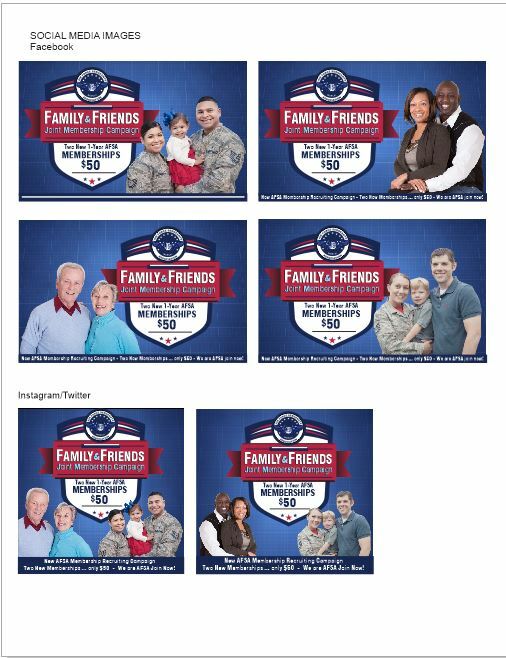 Campaign Dates: The AFSA Family & Friends Members campaign begins Wednesday, May 1, 2019 and ends Wednesday, July 31, 2019.